Ocean Spray is targeting people like me. While I know cranberries are available all the time, I still only buy them the week before Thanksgiving and then the week before Christmas. Which is dumb because I LOVE cranberries. Cranberry sauce is the highlight of the eating holidays for me. I’ve taken it upon myself in my adult years to be my family’s official cranberry maker due to an overabundance of the canned gelatinous cylinders during years past. So this seemed like a good time to try the Double Berry Sauce recipe from the Stir-ins and Pour-Ons section of the book. 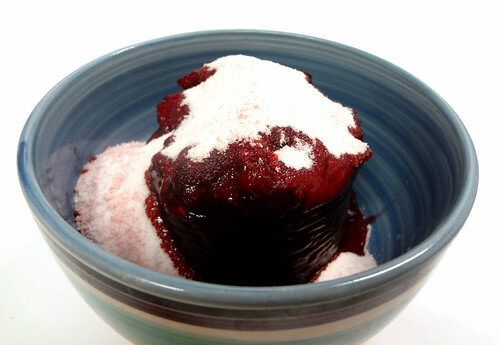 As with all of the other very simple recipes-that-are-barely-recipes in this section, Double Berry Sauce requires the depositing of some sugar-sweetened Kool-Aid into some other food product. 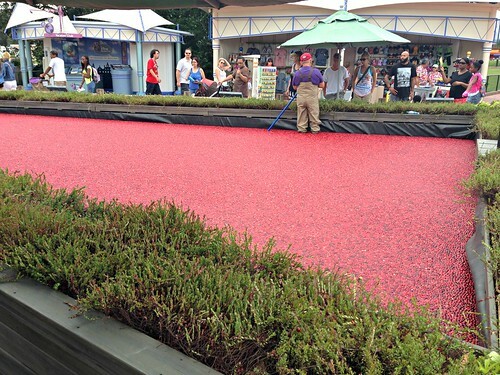 In this case, I dumped some Strawberry Kool-Aid into a can of whole cranberries. The result is an affront to the pure beauty that is the taste of cranberry sauce. The Strawberry Kool-Aid completely takes over the show. It covers of the flavor and wonderful tartness of the cranberries and leaves nothing behind but a familiar texture. And IT IS INCREDIBLY SWEET! 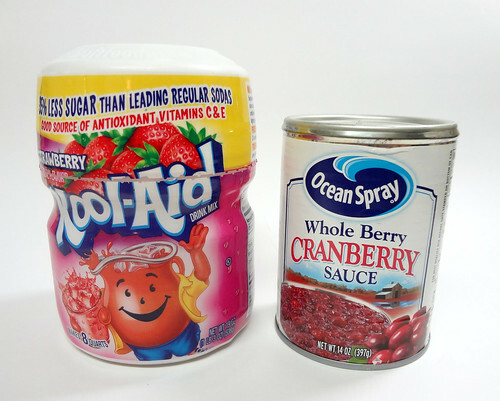 A normal, unmodified can of this cranberry sauce has well over 100 grams of sugar in it. 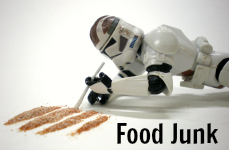 When you add FIVE TABLESPOONS of sugar sweetened Kool-Aid to the mix, the sweetness level becomes just absurd. It’s shudder inducing. 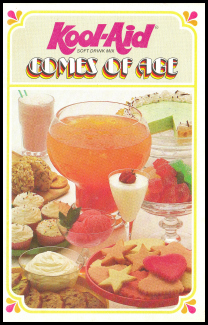 Reducing the Kool-Aid by at least half would be a huge improvement, as would forgoing the sugar-sweetened stuff completely and opting for a few dashes from a regular unsweetened envelope. 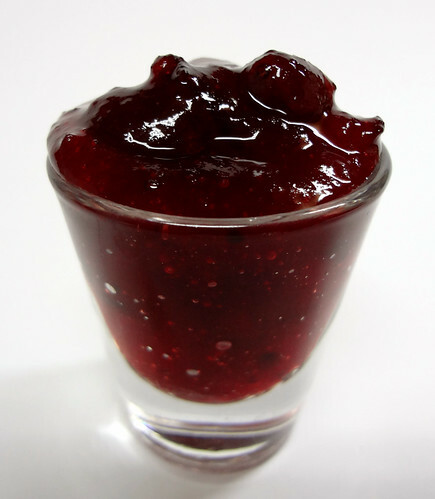 The only reason you should be serving this Double Berry Sauce at any family holiday event is if you are a human who has been adopted into a family of hummingbirds. And how many of us can claim that distinction? Like 10%? At most.